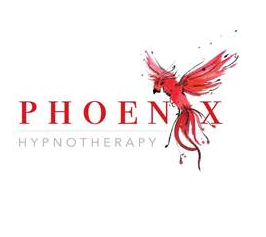 Phoenix Hypnotherapy & Reiki Healing is a beautifully calming, professional and confidential Clinic which provides a private and soothing environment. You are welcomed by Lynne, Nationally Accredited and Fully Qualified Clinical Hypnotherapist, NLP, Psychotherapist & Reiki Practitioner with more than 20 years’ experience in Energy Healing, Personal Development, Relationship Research and Development and to ensure she brings you the very latest in Allied Health and Mental Health, is currently furthering her studies in Advanced Diploma in Psychotherapy, Clinical Hypnotherapy and NLP – Neuro-Linguistic Programming, now incorporating CBT – Cognitive Behaviour Therapy. Terms or Conditions: Can not be stacked with other offers, Only applies to the first initial treatment. This business is a member of House Call Doctor Brisbane local access program. If you are a local business and want to join our local access program, please email us at [email protected] Alternatively, visit our office at 196 Wharf Street, Spring Hill, 4000.